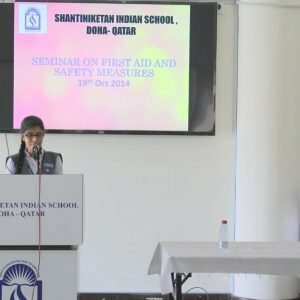 Health & Wellness Club organized a two days awareness programme on Safety & First Aid on 19th October 2014 and 20th October 2014. 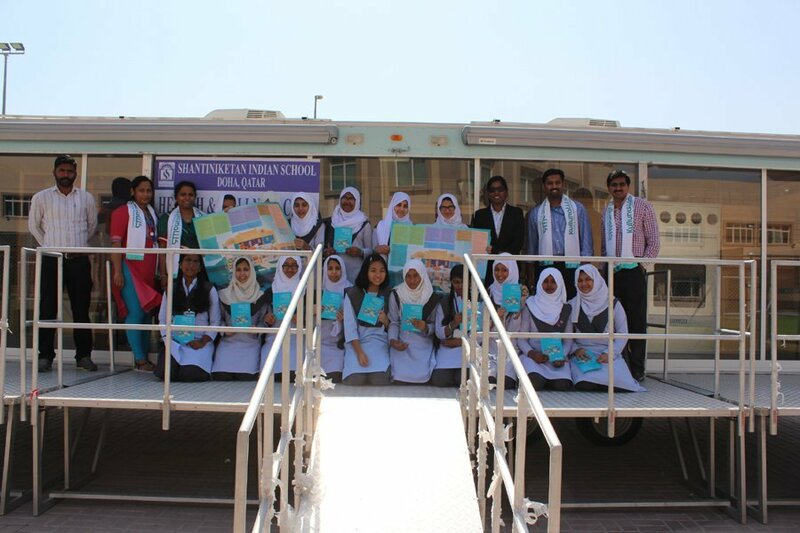 A team of Elite professionals from the Training Unit of Hamad Medical Corporation enlightened the students by demonstrating and explaining the safety measures and first aid procedure in various situations. 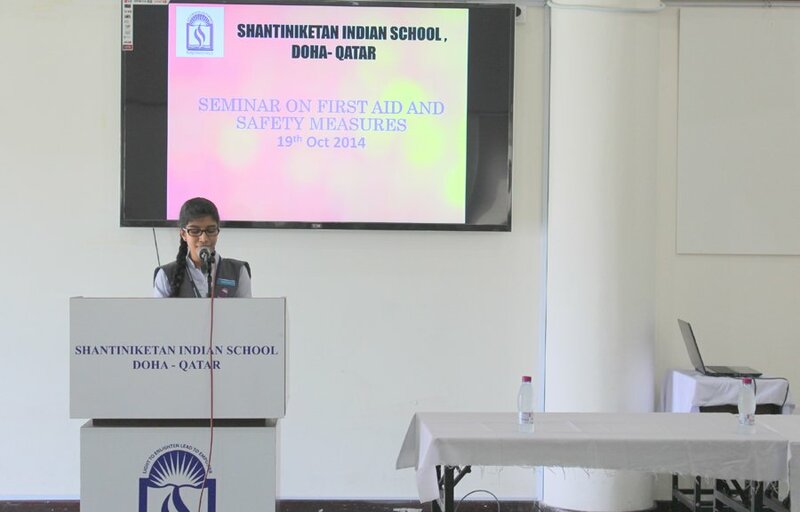 The program took place in two venues on the name KULLUNA Programme and workshop on First aid & Safety program. 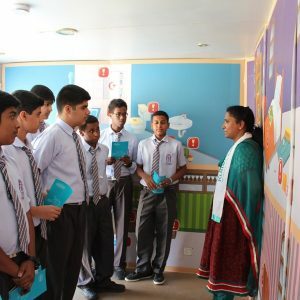 The program started with the prayer and was followed by the welcome address by the Health Club Coordinator, Mrs. Liji Fernandez. 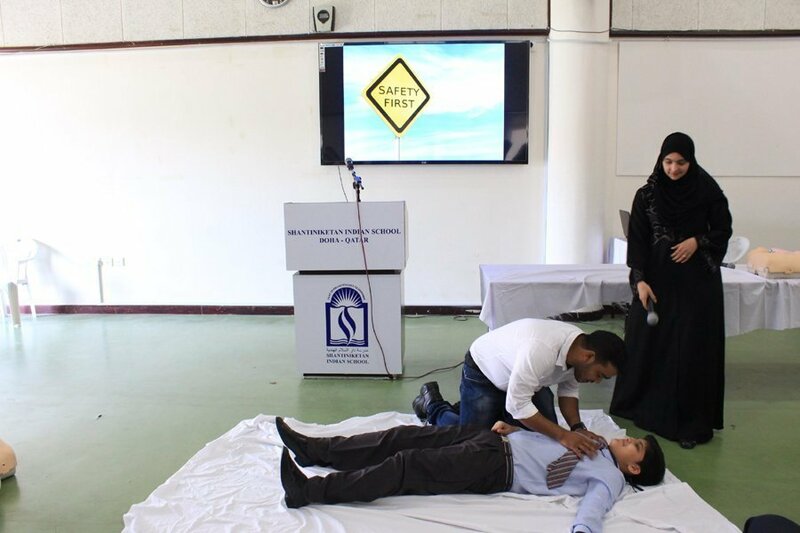 Later professionals from HMC took a class on the significance of first aid and on the procedure involved. 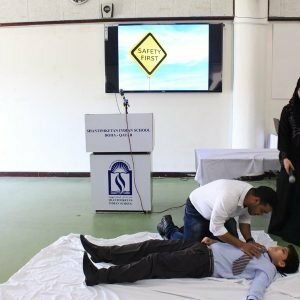 Further the professionals demonstrated the first aid procedure to be followed in case of emergency. 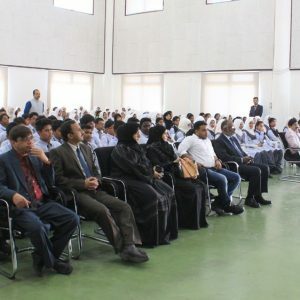 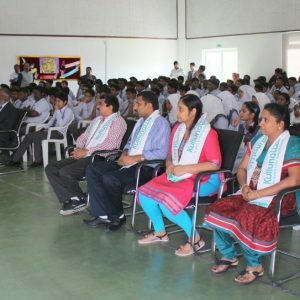 200 students of Standard IX & X attended the session. 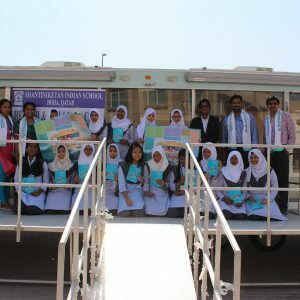 The “KULLUNA-Safety for all” program was carried out in a well customized Caravan where the professionals explained and demonstrated the vulnerable conditions inside the house and the different methods to avoid occurrence of such accidents. 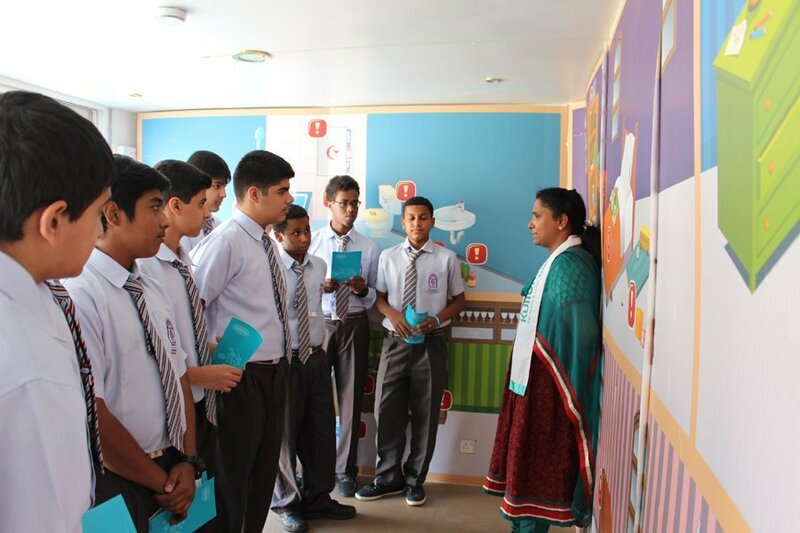 It was a two day programme where 300 students of standard VII & VIII got the opportunity to learn. 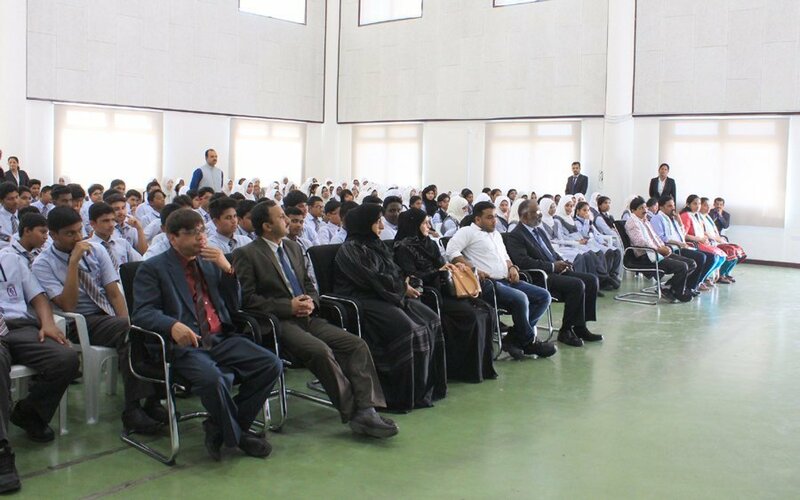 The program was concluded by the vote of thanks by Mr. Tanveer Mehdi.